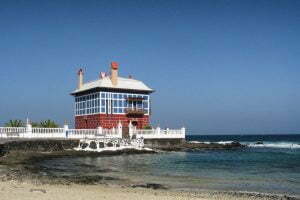 Many people travelling in the north of the island happen upon this house, known locally as The Doll’s House. Its real name is Casa Juanita – The Blue House, and the story is a sad one. This curious building is situated along the coast in the Northern village of Arrieta, it stands out from the small white typical buildings with its painted red and blue bricks and a garden complete with grass. You can find this property next to the old fishing harbour and a small beach with sea pool. The house was built by Don Juan de Leon Perdomo in 1916. He was a local from Arrieta, before he emigrated to Argentina in the early 20th century. He made his fortune there selling wheat and met and married Juana Alemán. The couple had a daughter in 1904, and they named her after her mother, although she was always known as Juanita. Juanita contracted tuberculosis when she was a few years old, and the couple’s doctor advised moving somewhere with “good air,” ideally by the ocean. They decided to move back to Arrieta in 1915, and Juan commissioned the build of a house, modelled on Juanita’s dolls house. Once completed, they named the house Chalet de Arrieta and moved in. Juanita had five happy years there, before succumbing to her illness in 1921. The house gradually fell into disrepair after Juan and Juana died, but it was eventually restored in the 2000’s. 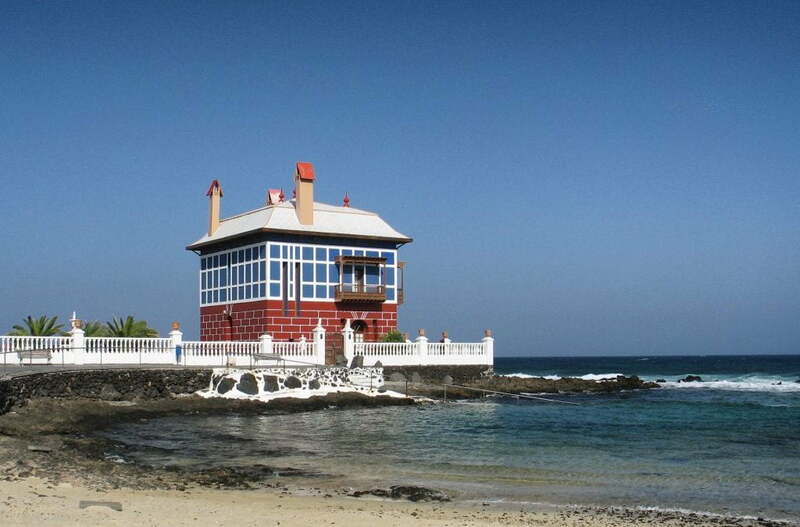 It is owned by a family from Arrecife, who let it as a holiday home.